I got friendly, professional quick service on a Saturday without an appointment! They explained everything they did to my car, alerted me to upcoming service needs without trying to oversell. I will be back and would highly recommend Vic Bailey Mazda. Truly the easiest, most pleasant car buying experience of my life, I'm getting exactly what I want at a great price with a great price for my trade as well. Salesman Jeff Smith is friendly and fair. If all car salesmen were like him people would say someone behaved like a car salesperson and mean it as a compliment. 5 very enthusiastic stars!!! Got a recall notice in the mail yesterday. After the delay in getting the airbag replaced under recall, I called this morning to get on the list to have this done. When I called in I got Ashley. She looked my car up and wasn't seeing any outstanding recalls for my car. She asked what it was for and when I told her she informed me that it was done several weeks ago ... when I was last in. Our 2 main vehicles are Subaru and based on service like this and previous times, I don't see a reason to go anywhere but back here. They make me feel like I'm driving a highend car based on the way they take care of us! Interested in a new Mazda? Then Vic Bailey Mazda can help. We have a huge inventory of Mazda vehicles right here in Spartanburg. 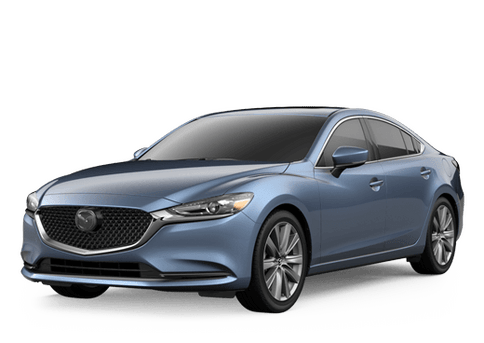 We have crossovers and SUVs like the Mazda CX-3, Mazda CX-5, and Mazda CX-9, we have sedans like the Mazda6 and Mazda3, and we even have the sporty Mazda MX-5 Miata. Looking for a used vehicle? We have many of those from a variety of brands and manufacturers. Our team is also here for you when you need Mazda service or maintenance. You can rely on Vic Bailey Mazda for all your automotive needs.